Pendleton Heights' Eli Young passes Mt. 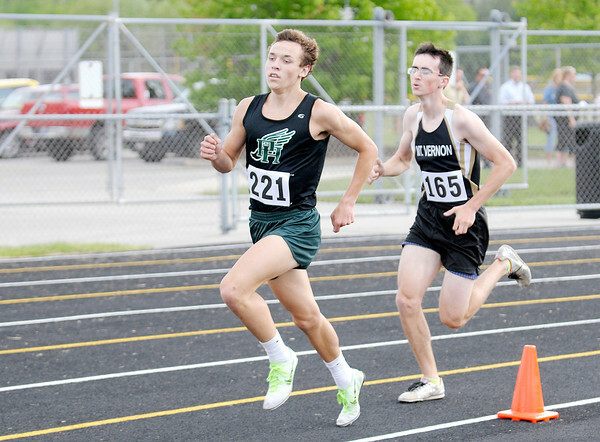 Vernon's Aaron Rush during the 1600 meter run during the Boys Track Sectional at Mt. Vernon on Thursday.